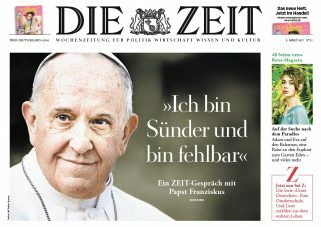 DIE ZEIT is Germany‘s premier opinion-leading weekly newspaper. It reports on topics from the worlds of politics and business, culture and science, technology and medicine, society and education, travel, lifestyle and sport. In-depth background, well-researched facts and critical analysis make DIE ZEIT an important source of up-to-date information. discusses issues from different perspectives and shapes opinions. The quality journalism and award-winning layout of DIE ZEIT are two of the key factors that underpin the intensive use of the newspaper. The readers of DIE ZEIT hold down top jobs and primarily belong to the best-educated and high earning sectors of society, which means they also tend to be high-spending consumers. In short, your advertising message in DIE ZEIT is bound to reach a highly attractive target group. • The Reader: 41 % of ZEIT readers are between the ages of 20 and 49, while 62 % are educated to “A” Level standard or hold a university degree. 47 % have a net monthly household income of 3,000 € plus.